We give some direct and short answers below. Does Corfu have sandy beaches? Almost everywhere the sea meets the land there is a beach in Corfu. And 90% of the beaches in the West and North side of the island are sandy, most are also huge with fine golden sand. What are the Beaches like in Corfu? Beaches in the West and North side of Corfu are sandy and long, with exceptions of some south of Paleokastritsa area which are mixed sand and pebbles, the famous Rovinia, Paradise, and Stelari are mostly pebble. On the East side beaches are smaller with pebbles, with exceptions here to be in Messonghi where we have a large sandy beach and the southern cape at Alikes of Lefkimi which is sandy but not so favorite among tourists. Are there Beaches in Corfu Town? Under the old city walls and opposite the Old Fortress is Faliraki, a picturesque small rocky promontory, a beach reachable by steps from the main road above at Mouragia area, the beach is also called Mpania toy Alekou, means Baths of Alex. Also South of Garitsa bay and after Anemomylos dock, just under Mon Repos palace there is the beach of Mon Repos, it was the former royal baths, it is preferred by locals and pupils for a quick dive. Both are popular among locals. Is the Sea warm in Corfu? Of course, it is, especially at the East coast where the proximity with the Hellenic mainland creates something like a lake with two relatively small openings at North and South end, so is very warm at summers and not cold at winters. On the West side though the sea is a bit cooler especially around Paleokastritsa due to cold steam arriving there from North Adriatic sea. Where are Sandy Beaches in Corfu? Everywhere on the West and North side of the island which is full of sandy beaches, each other separated by small rocky areas. Is Corfu hot in October? October in Corfu is like Summer, so yes is still hot and can still suitable for swimming too, with exceptions at some years. Is Corfu warm in September? Very warm and humid, in fact, the sea in September is warmer than in summer. The only difference from August is that we have the first rainfalls. How hot is Corfu in July? Really hot, temperatures are normally around 100°F, but sometimes can reach up to 110°F and is really hard to stand. What is the Sea temperature in Corfu? 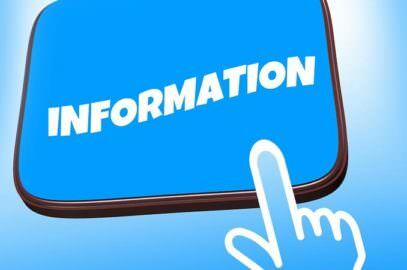 Sea is warm in June, around 15-20°C (59-68°F), warmer in July and August when it reaches the 25-28°C (77-83°F) spot and even warmer in September when sometimes can be 30°C (86°F). Is Corfu hot in February? Is Corfu hot in January? Is Corfu hot in March? How hot is Corfu in June? June is Hot, it is a summer month. The weather in Corfu per month? 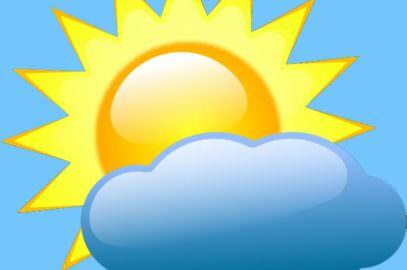 But for the average weather conditions per month basis in Corfu, better read more in the page about the weather. Which sea is Corfu in? 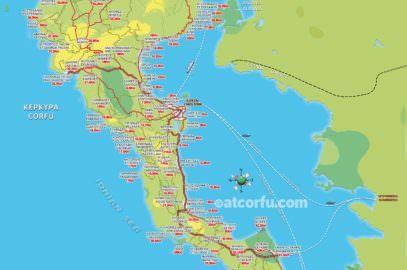 Corfu lays on the North Ionian sea, on the borders of South Adriatic sea, very close and exactly opposite the Hellenic and Albanian borders. 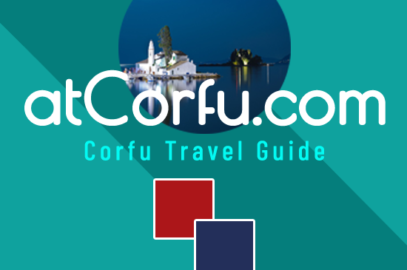 What is Corfu famous for? 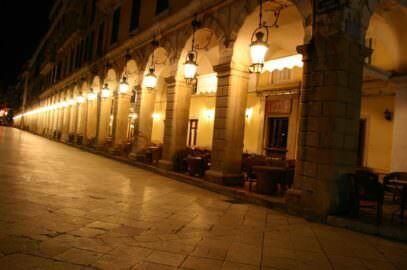 Corfu is an island famous for many. It is the densest populated Hellenic Island. Corfu town is the only Kastropolis in Hellas, a city surrounded by the walls of two castles, the whole city is a UNESCO Heritage monument and keep its multicultural character with Venetian, English, and French influences. It was the first Hellenic island opened its doors to the first tourists. In Corfu there was the first Hellenic University, the first bank, the first electricity factory, the first theater in the modern Hellenic territory, the largest square in the Balkans, some say in Europe, the only cricket team in Hellas and was the place with the largest musical and intellectual tradition by far in Greece. Corfu has the only Georgian style Palace outside UK, the Palace of Saints Michael and George. It is the only place in Hellenic territory never felt the Ottoman oppression. What Language is Spoken in Corfu? Hellenic, Greek for those don’t know what Hellenic is, also almost all locals speak basic English too and many fluent English. Better to avoid to ask somebody if he or she speaks English, because they most probably do and, seriously it can be taken as an offense! Just talk straight away. What food do they eat in Corfu? All food of the Hellenic cuisine, But Corfu also has its local cuisine which is the Venetian cuisine and includes traditional recipes as Pastitsada, Sofrito, Bourdeto, Bianco, and many more, read about these recipes here. 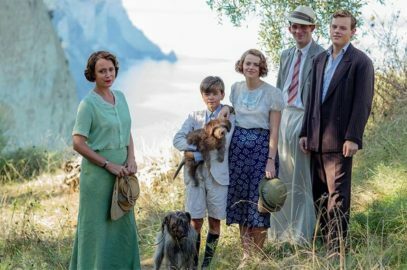 Where were the Durrells filmed? 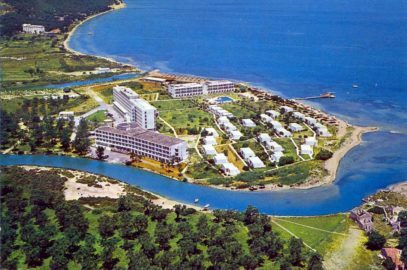 Durrells in Corfu was filmed mainly in Danilia village, a replica of an old traditional Corfu village in Danilia area, also in parts of Corfu town, in Kalami bay where the family lived in the white house for most of its time in Corfu and in other parts of the island. Is there a Volcano in Corfu? 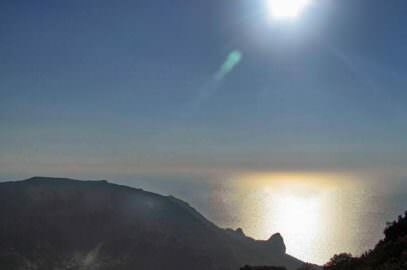 Yes, there is a long extinct volcano in the middle of the island, it is the mount of Agioi Deka, the crater was the top of this mountain called Pantokrator, not to be confused though with Pantokrator, top of the other mountain at the north Corfu. 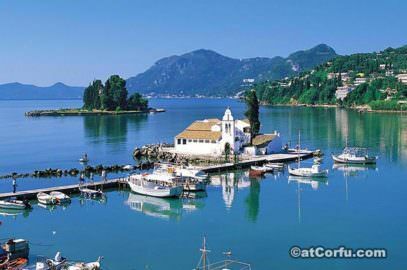 Corfu derives from Koryphai, a Hellenic word in plural tense meaning Tops or Peaks. The peaks(Koryphai) of mount Pantokrator which has two equally high tops that can be seen clearly as a ship approaches Corfu island. Is Corfu a real place? 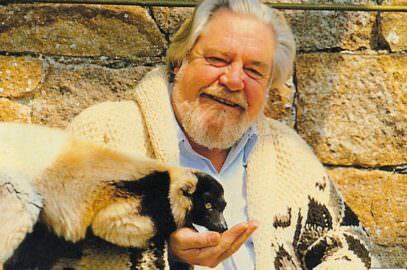 Where is Corfu in relation to Hellas? Corfu is the Westernmost tip of Hellas, in the borders of two seas and two countries, the North Ionian and South Adriatic seas, opposite the Hellenic borders with Albania. Corfu is a middle-sized island of 229 mi², it is the Seventh larger Hellenic island and has some satellite island clusters around it, the Diapontia islands at north and Paxos islands at South. What is the Population of Corfu? According to 2011 census the population of the main island is 97.000 inhabitants, while along with it’s satellite islands the municipality has almost 104.000 residents. Why is Kerkyra called Corfu? 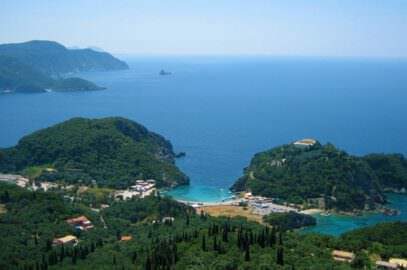 Kerkyra is the ancient Hellenic name of the island and the city, Corfu is the name given to the island by the Latins, they paraphrased the Hellenic word Korfes derived from ancient Koryphai, which means Peaks, to Corfes-> Corfu. Romans, who later became the Latins, always used to steal and change ancient Hellenic words, as they did with ancient religion and Gods, Culture, arts, Sciences, alphabet, everything! And they gave other names to everything they stole. Is Corfu part of the EU? Corfu is part of Hellas! Which Hellenic island is closest to UK? Corfu, as it is the westernmost part of Hellas. Where can Families go to Corfu? Almost anywhere, but there are some places more suitable for families with children. Which is the prettiest Hellenic island? There are many Beautiful Hellenic islands, the prettiest island is different for everyone. Which Hellenic Island has the best beaches? 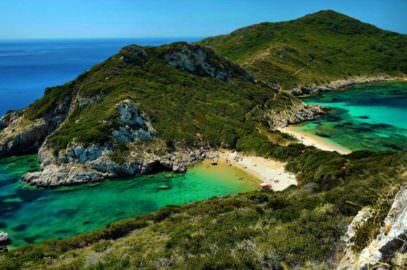 This is subjective, we don’t know about the best, but we definitely know that Corfu has the most and the richest variety of Beaches in Hellas. 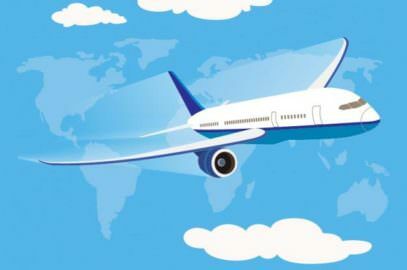 Where is the airport in Corfu? 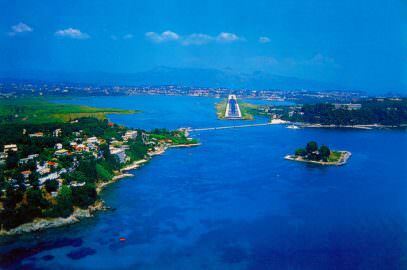 Corfu airport is inside the Lake of Halikiopoulos, a lagoon West of Kanoni and South of Corfu town, in the area of the Ancient Port of Corfu. What is the airport called in Corfu? 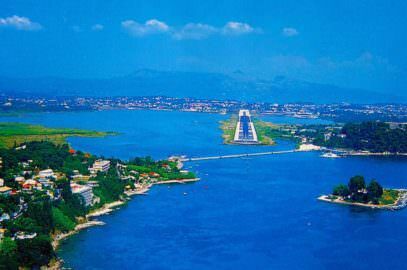 The Corfu airport is called Ioannis Kapodistrias in honor to the first governor of the modern Hellenic state Count Ioannis Kapodistrias who was a Corfiot noble.